At the workplace, a fight means a situation where the narrative is of disagreement or conflict where two people are coming to terms with differences of opinions or nuances of an argument. The anatomy of a fight is a curious beast, particularly the ones in the cubicles and the cabins. There are always many types of it, and each represent a different shade of joy to watch and a different shade of agony to be a part of. Fight in this context means a situation where the narrative is of disagreement or conflict – not of the type that is a subject of physical safety, but of the type where two people are coming to terms with differences of opinions or nuances of an argument. Workplaces breed such circumstances like mosquitoes. One is never in short supply of them. Such conversations can be roughly classified into 3 grades – like how they teach in the med school about the grades of fever. As is my usual recommendation, a bit of humor always helps to enjoy such observations. Grade 1: The Brush. This is about deciding whose point of view is more valid or better. For example: Is BJP manna from heaven? Is congress any more relevant? Is eating a certain kind of food a threat to our culture? Or is it important to pass the test of patriotism before you qualify for anything whatsoever? It could also be about Messi vs. Ronaldo, Sachin vs. the rest of the universe, Delhi vs. Mumbai, Hindi vs. English and so on and so forth. Grade 1 fights have no final answers – there are only personal answers, usually depending upon who you are, what have been your experiences, what is your range of intellect or how far your memory goes. Grade 2: The Hit. This is about slightly serious stuff. There is some material consequence to it or the other. For example – Is your quality of work good enough to match the expectations laid down (or maybe even those not laid down)? Are you pulling up your socks fast enough? And finally, could this work be done in any better way that the level at which it has been done? Grade 2 conflicts are about who the boss is or whose view shall prevail. Period. Rest all is futile. Grade 3: The Collision. This is about the real life-threatening ones. An error of judgment, one word here or there – and you are doomed. For example, during a meeting when it is asked ‘’what you think did we do wrong or where do you think we went wrong’’ and the person who asks this question is a potential cause – there is a collision. ‘’Give me feedback’’ asked by the person most close to feedback – there is a collision. ‘’You must speak up and express yourself’’ by a person who has a history of coming back at you on what you expressed last time – there is a collision. Grade 3 fights usually have an underlying power struggle. It is usually akin to what is politely called palace politics. The anatomy of this kind of a fight is like an amoeba – it changes its shape constantly. The last word on Grade 3 fights is this – it is rarely about the merits of the case. You may still follow the pretense of the fight for there is great value in such pretenses too. I shall also ruminate on the various ways in which the three grades of conflicts could be possibly be dealt with. There is a great variety and genius in that too. So here are the three grades of fight responses. Grade 1: Avoidance. Some fights have no ends, no resolutions, and no conclusions. They are done because there is no better way to spend time, and give the illusion that one is educated, well read, and has overall intelligence. Since you cannot solve the mundane, the best way to deal with that inferiority complex is to pretend solving the sublime. Perfecto! Grade 2: Admission. Some fights are best dealt with by admitting guilt – real, assumed, or charged. In some equations, winning an argument is more detrimental to the future than losing it. You are safe with the armor of an apology rather than exposed with the strength of your argument. You might ask about that thing called ‘truth’. Well as someone said – there is your truth, my truth, and then there is reality; and some truths are truer than the rest. Don’t waste time. Just admit. Grade 3: Submission. This is evolution at its best. It is one grade superior to admission. It’s pure submission – like you prostrate before God and leave everything to His mercies. It’s beyond seeking forgiveness – it’s seeking redemption. It must be done with panache, the right amount of earnestness, with a look that is soaked in absolute guilt and eyes that are struggling to even look up under the burden of the crime/sin and finally with words that must struggle to come out. If this combination is not cooked right then it can be construed as a mere admission (the previous category). Long and happy lives are made only after one has perfected this category. This is sheer artistry. 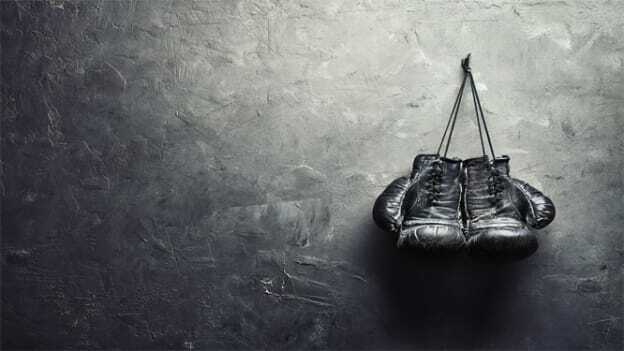 The discerning reader will by now realize that the above analysis can be beautifully captured in a 9 boxer – workplace issues are best solved by boxing them in some grid or the other. They remain boxed thereafter.